We spend a lot of time on these blogs writing out all the tricks that the insurance company will use against you. Frankly, we have to do that because they have so many different tactics. We’re never really going to run out of things to write about in this regard, sadly. If you’ve been reading these for any length of time, you know that getting an attorney as soon as possible is a great way to help your accident case. The sooner you get our car accident injury lawyer team on the case, the sooner they can get up to speed and fighting back against the insurance company for you. They’ll have their team of lawyers and investigators on the case, you deserve the same. If you’re injured in a car accident, our car accident injury lawyer wants you to get medical attention as quickly as possible. For many people who have been seriously injured, this is usually taken care of quickly. However, for someone that might’ve been hurt in a minor fashion, or seemingly wasn’t hurt at all, it’s natural to not think you have to go get treatment. You may feel perfectly fine, and like you don’t have to get medical attention for the ordeal that you’ve been through. However, it’s always strongly recommended that you get medical attention anyway. The reasons for that are many and varied, but the first, most basic reason is the simplest: your health. Your health is the most important thing. You can’t take risks with your help, or just hope that it’s going to work out. Beyond your own day to day life, there are people who care about you and count on you. You can‘t let them down and just let your health slide. After you’ve been in a car accident, the best thing you can do for yourself is to get medical attention. By that same token, in addition to helping your life, getting medical attention as quickly as possible can help your case, too. If you don’t get medical attention, and then file a personal injury claim, the other side is going to have pretty strong case. They’ll be able to say: “how bad could these injuries be? They didn’t even feel like they had to go to a doctor.” You’ll know how bad your injuries are, and how awful the pain you’ve gone through is. However, the insurance company will be able to use this against you, in their hope to keep your compensation that you’re due down or eliminate it entirely. Your car accident injury lawyer always wants you to get medical attention. On top of that, we want you to get medical attention as quickly as possible. That’s not to say that you jog away from the police or something to go get medical attention. But, as soon as you’re able, it behooves yourself and your case to get in front of a medical professional as quickly as possible. Any delay is bad for your health, as your injuries could fester and worsen. The longer your injuries go without being treated, the worse they can get. By that same token, the sooner you get medical attention, the sooner your injuries will heal and allow you to return to your full life. Of course, the insurance company can also use your delay in getting medical attention against your case, too. Say that you don’t get medical attention for like, a week or two after an accident. Then, of course, your injuries worsen, and you file that claim. The insurance company can then argue: “they’re just making up or exaggerating just how bad these injuries are. If these injuries were truly as bad as the injured party says, wouldn’t they have gone to the doctor immediately? Would they have truly let this slide for a period of time?” Of course, that argument is nonsense and you were just doing what you felt was right. However, our team of automobile injury lawyers never recommends giving the insurance company an advantage. This can be an even more potent argument for the insurance company if your injuries get worse a few days, weeks or even months after an accident. The sad truth is, that’s what happens for many people who’ve been through an accident. 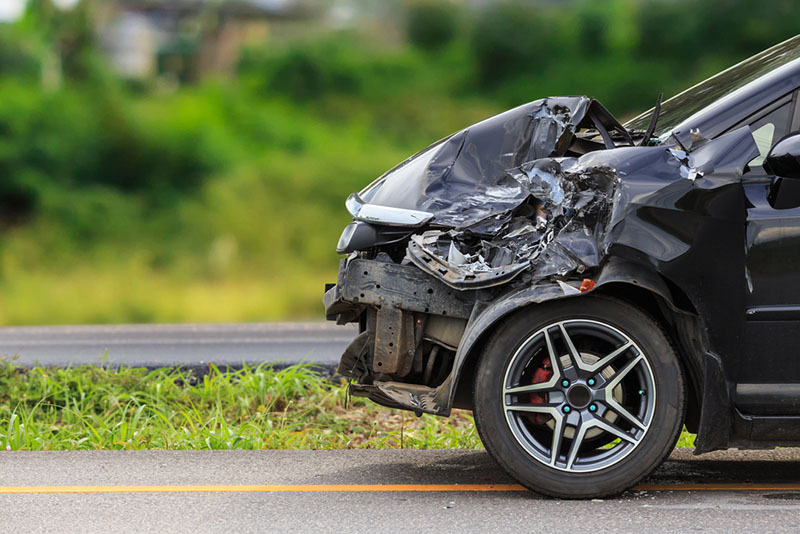 Every car accident injury lawyer on our team has seen it many times: a person is in a car accident, is seemingly OK, goes to work, and then a few weeks later, their injuries are much worse. This can happen even if you get treatment immediately. That’s just often how these cases go. That’s what makes it all the more important that you get a car accident injury lawyer on your case immediately. In the aftermath of a car accident, you don’t know how bad your injuries are going to be. In fact, you won’t know for some time. Maybe you won’t miss much time from work, but it’s also equally likely that your injuries get so bad you won’t be able to work as hard, or as well as you’re like to. Then, you’re going to miss out on quite a bit of money that you and anyone financially dependent upon you was counting on. In case that happens, you need a lawyer on your side who can get you the compensation for everything that you’ve been through. In fact, the point that your injuries could worsen is all the more reason to make sure that you don’t give a statement to someone from the insurance company after your injury. If you have to say something, just give them the pure basics. You don’t have to tell them a detail explanation of all the injuries you have, just give them the bare minimum. Your goal whenever talking to someone from the insurance company is to make sure that you say nothing which could be used against your later on. So, when talking about your injuries, just say that you’re hurt and you don’t know. That’s all. If you say “I wasn’t really hurt that bad,” then the insurance company can come back later when you’ve filed your claim saying that you were either lying then or now. By that same token, if you tell them how awful all of your injuries are in gruesome detail; they’ll be able to use any recovery or improvement you achieve against you as well. The best thing you can do is say you don’t want to talk to them about it, as politely as possible, and direct them to your car accident injury lawyer. When you’re ready to sit down and talk about how we can help you with your case, we’re here. We do everything we can to make sure that scheduling a free consultation is as easy as possible. Just give us a call at (818)210-4558 or go to our website. From there, we’ll work out a time that we can go over how to get you and yours the compensation you deserve for everything that you’ve been through.